Storms in North Texas have knocked out power to thousands of homes and businesses. Dallas-based Oncor on Monday reported more than 23,000 customers without electricity. 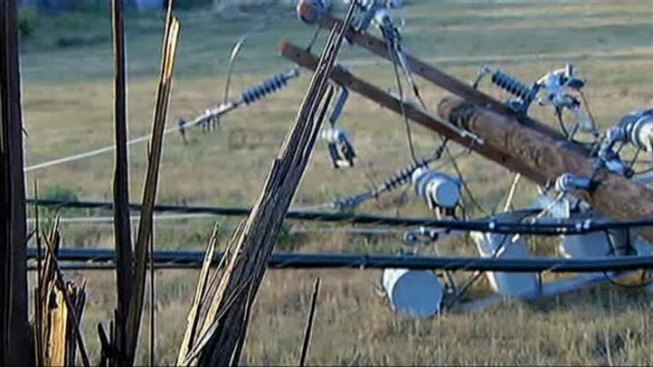 Utility officials say that's down from about 55,000 customers losing power Sunday night during strong winds and lightning. By noon, fewer than 13,000 remain without power -- mostly all in Tarrant County. 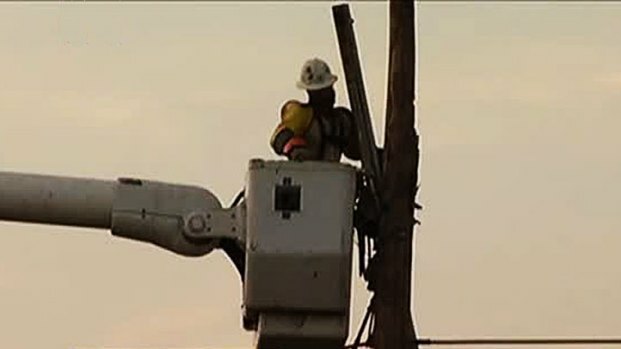 Power crews worked throughout the night to restore electricity. The areas with the most customers in the dark are in Northwest Fort Worth in the area around Meacham Airport and in Haltom City, where the power company predicts electricity won't be fully restored until midnight. Nearly 23,000 customers are still without power Monday morning after severe weather hit North Texas on Sunday. The National Weather Service says wind gusts of more than 70 mph were recorded in the Fort Worth area, leading to some downed trees and power lines. Authorities have no reports of major damage or injuries. The American Red Cross planned to send bottled water to areas that suffered storm damage, including Haltom City, Kennedale and Eagle Mountain Lake. Red Cross officials say residential damage was minimal, but anticipated high temperatures make it important for people whose homes lost power to stay hydrated. NBC 5 Meteorologist Samantha Davies says the Dallas-Fort Worth area should have a high of 100 degrees Monday with a 10 percent chance of storms south of the Metroplex.